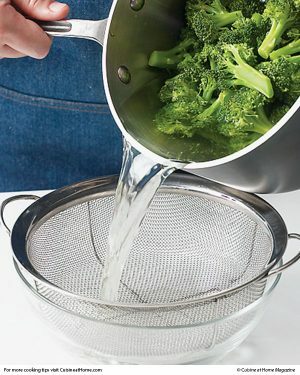 Make easier work of chopping unruly leafy greens with this simple tip that only requires a resealable plastic bag. There's an easier way to “chop” large leafy greens, such as Swiss chard and collards. First, cut the ribs from each leaf, then wash. Place in a plastic bag, freeze for 2 hours, then squeeze the bag with your hands. The greens break easily into pieces and cook up much faster.